Having been forced to miss last year's Classic TT presented by Bennetts through injuries sustained at the preceding Ulster Grand Prix, Scots ace Keith Amor will finally get to make his debut at the event later this year. The Falkirk rider was due to ride 350cc and 500cc Manx Norton's for Dunnell Racing and it's that same team that the now 43-year will ride for in August, contesting both the Bennetts 500cc and Okells 350cc Classic TT Races. It will be Amor's first time on Classic machinery around the Mountain Course but the Dunnell machines are well prepared with Dunnell being one of the most respected classic bike builders in the UK. Conor Cummins rode for Team Dunnell at the inaugural event in 2013, finishing seventh in the 350cc Race whilst Amor's late replacement twelve months ago, Mick Godfrey had an excellent ride in the 500cc Race and went one better coming home in sixth, also lapping in excess of 102mph. Although he has a lack of Classic race experience, Amor's diminutive stature and knowledge of the Mountain Course should mean he'll be challenging for podiums in both race and he's relishing the opportunity to finally compete, particularly as he had to miss last year's races due to the aforementioned Ulster GP crash. 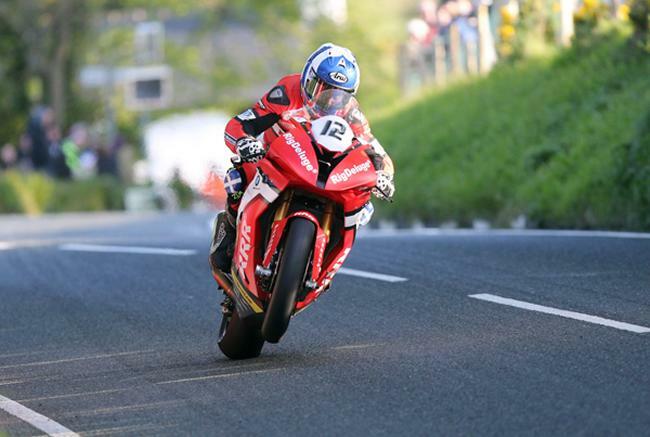 Adding his name to the entry list for the 500cc and 350cc Classic TT Races, the five-times TT podium finisher, now back to full fitness after his Supersport TT spill in June, adds further spice to an already mouthwatering line up that promises to be even better than the two previous years. Dunnell himself has a long association with the Isle of Man, first as a competitor in the Manx Grand Prix and, in later years, as a sponsor and entrant. After a four year layoff, Tony returned to the Isle of Man in 2013 and has clearly embraced the Classic TT movement as he will be providing Keith with the latest specification 500cc and 350cc Manx Norton's along with spare bikes for each class. 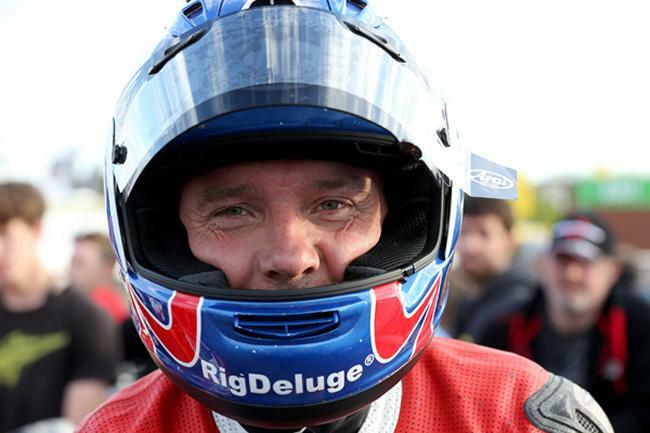 "Obviously I was gutted to pick up the injury at the Ulster Grand Prix last year, but mainly because it meant I couldn't ride at the Classic TT. Tony has put together a great team for me for the event and the bikes should be as quick as any other single cylinder bike out there." "Podium's in both races has to be our target and if we can do that, given the nature of Classic racing, anything is possible after that. Michael Rutter, Bruce Anstey and Dan Cooper showed that you can run at the front on a single last year and I intend to be right on that kind of pace." Keith on the RigDeluge BMW during TT practice.